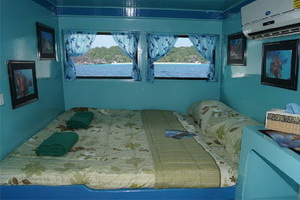 There are so many Similan Islands liveaboards to choose from that it can be difficult to select one. Let us help you. 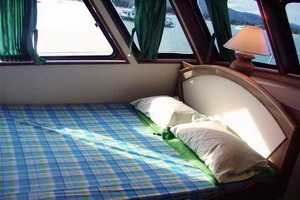 Search all boats below, or tell us what you are looking for and we’ll make recommendations. 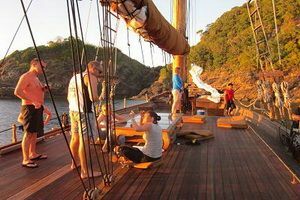 Tell us your dates of travel, your approximate budget and anything else that’s relevant, like your dive experience and what type of cabin you want (ie. 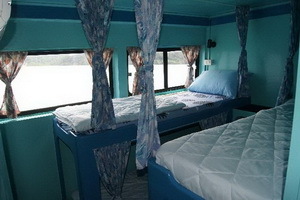 private bathroom, double or twin bed, single occupancy etc). !! Our advice is FREE – Hold a reservation without a deposit – No booking fee or credit card surcharge !! 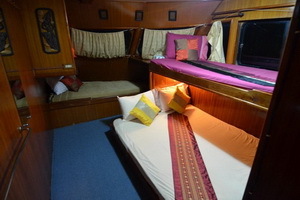 These liveaboards are the best available in Thailand. 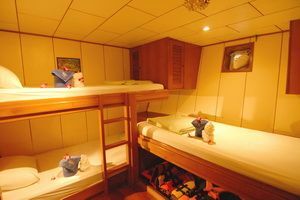 They have the nicest cabins and facilities, the best food and the best customer service. 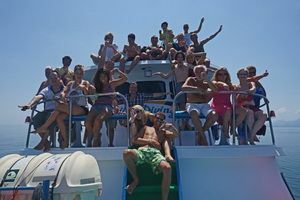 All these liveaboards offer nitrox. 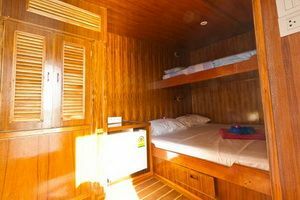 There are plenty of mid priced liveaboards to choose from. 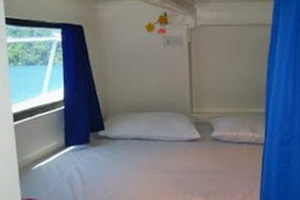 All have AC cabins and most (but not all) have private en-suite bathrooms. 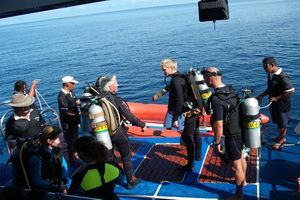 Most also offer nitrox to certified divers. 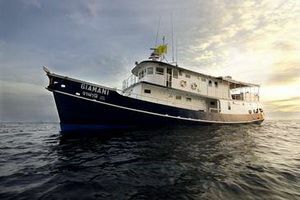 These cheaper liveaboards dive the same great dive sites. 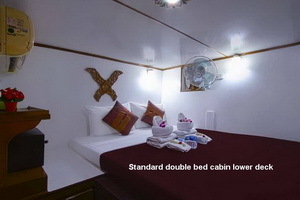 They cost less for many reasons including size, age, trip duration, number of guests and cabin amenities. 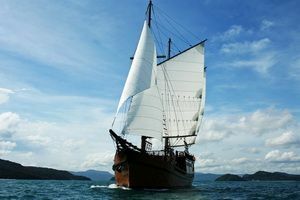 Our Verdict: A modern sailing yacht built to a classic design for cruising and diving in comfort. 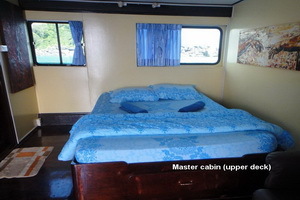 The most luxurious Similan liveaboard available. 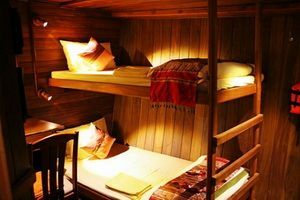 Splendid cabins and 5 star dining. 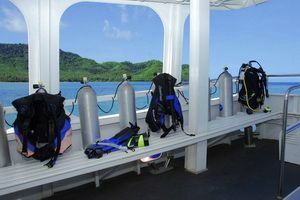 Snorkelers and non diving partners are equally well catered for. 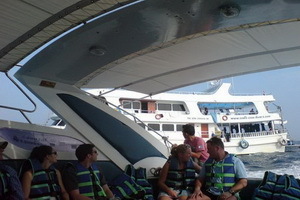 Kayaks are available on board. Our Verdict: Built to IMO standards, a true mariners boat. Recently refurbished. 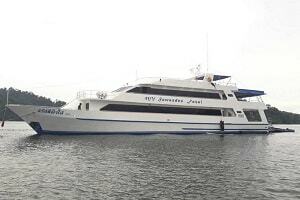 Now only taking 10 guests for more personal service and more space aboard. 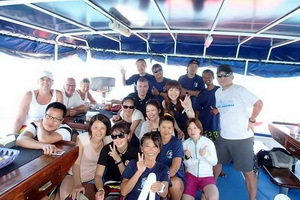 Ricardo the tour leader is very well regarded for his experience and customer service. Plus he speaks 5 languages. 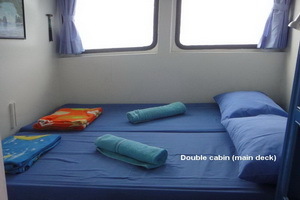 Our Verdict: One of the first Similan liveaboards and still one of the best. 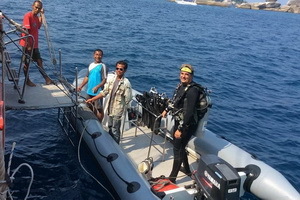 Exceptional dive guides make every dive a great dive. 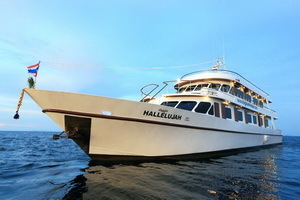 Good value for group charter bookings. 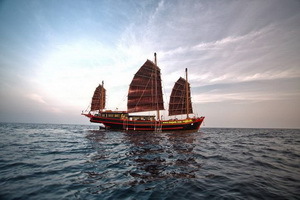 Choice of 4 or 6 day itineraries. Our Verdict: Big, strong, fast. 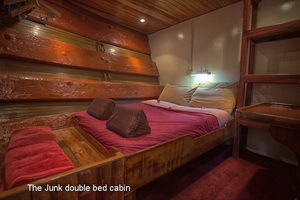 Good food and excellent cabins. Deep Andaman Queen has a good pedigree. 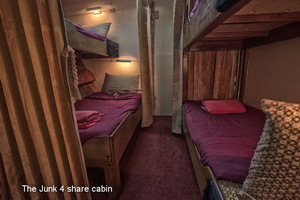 There are several different cabin configurations to choose from. 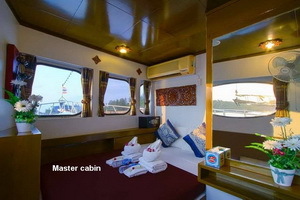 The master cabin is huge. 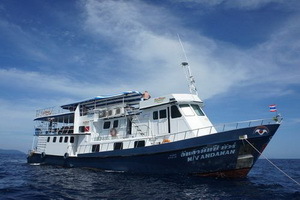 A recommended Similan liveaboard. 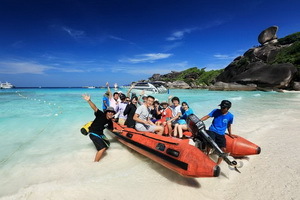 Our Verdict: Fasai is a very popular Similan liveaboard. 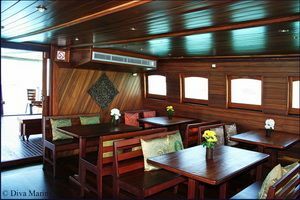 A spacious boat with a choice of cabins for different budgets. WIFI on board and free Nitrox. 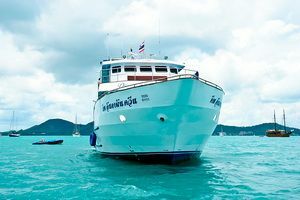 Our Verdict: Pawara is an excellent value for money Similan liveaboard with better prices that beat it’s rivals. 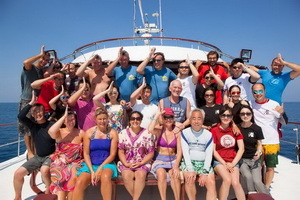 It’s well run by experienced owners and the current dive leader is very popular. 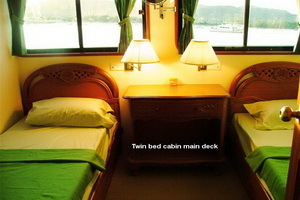 Choice of twin or double cabins with private bathrooms. WIFI on board and free Nitrox. 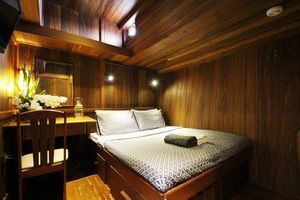 Our Verdict: An impressive Similan liveaboard, strong and stable with nice wood panelled cabins. 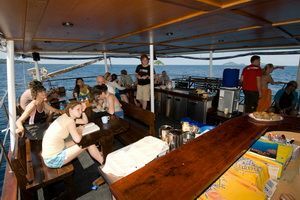 Spacious dive deck, sun deck and saloon. 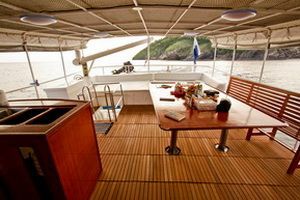 One of our customers’ favourite boats. 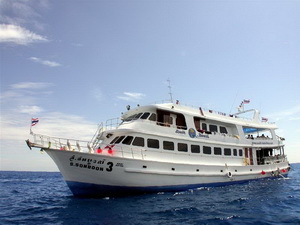 Our Verdict: A spacious Similan and Surin liveaboard that is a good choice for snorkelers as well as divers. 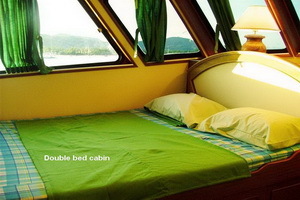 Solo travellers can get a single cabin cheaper than on most boats. 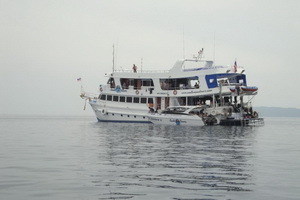 PADI dive courses can be done on board. 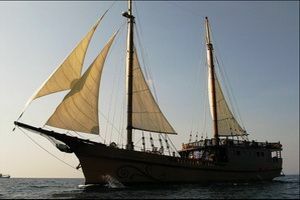 Choice of 2, 3 or 5 day itineraries. 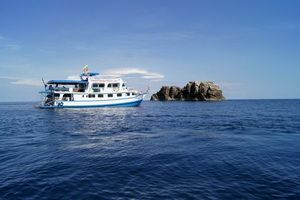 Our Verdict: If you are looking for a short duration liveaboard to Richelieu Rock South Siam’s flexible schedule could suit you. 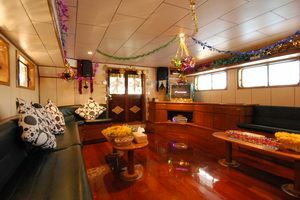 28 guests is quite a lot but this boat attracts a young, friendly crowd. 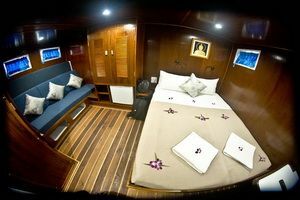 Our Verdict: One of the best budget Similans liveaboards that has double bed cabins and private bathrooms. Plus Nitrox. 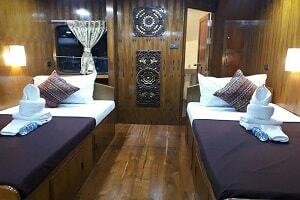 The cheaper price reflects the smaller size of this boat compared to boats like Pawara and Hallelujah. 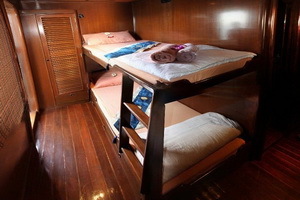 Our Verdict: A very popular Khao Lak backpacker liveaboard and cheap too. 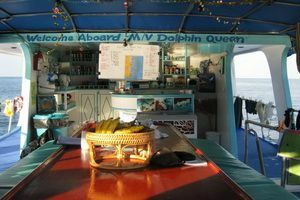 There are loads of budget liveaboards in Khao Lak, they come and go, but Dolphin Queen stands above much of the competition in terms of safety standards and dive staff experience. 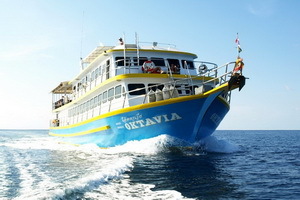 Dolphin Queen also runs Burma (Mergui Archipelago) trips. Our Verdict: Great value 5 day trips. 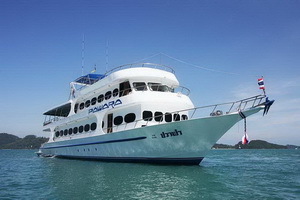 One of the few liveaboards actually diving at the Surin islands as well as Richelieu Rock. 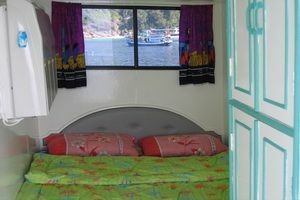 It also visits the Moken sea gypsy village at the Surin Islands National Park. 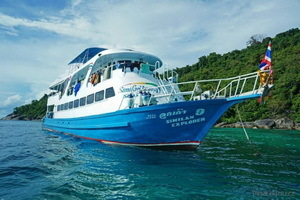 Price from: 5,600 baht/diver for day trip. 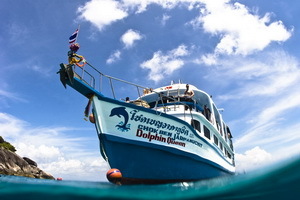 12,900 baht per diver for overnight trip. 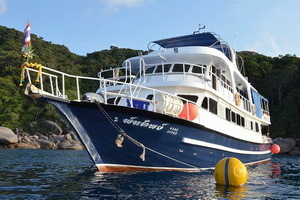 Our Verdict: Like South Siam 4 this is a great liveaboard option for those short on time. 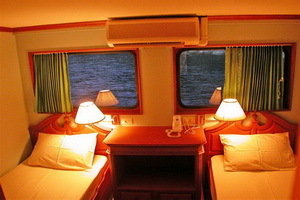 1, 2, 3 or 4 night itineraries with departures 5 days per week. 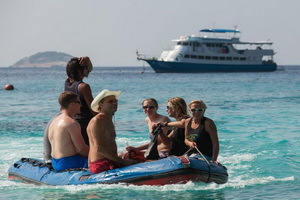 Divers are transferred by speedboat to the liveaboard which stays at the Similan Islands. 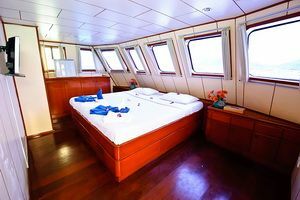 This liveaboard also takes day trippers. 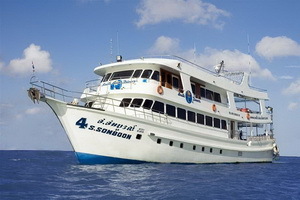 Our Verdict: A good value budget liveaboard to Similan and Surin. 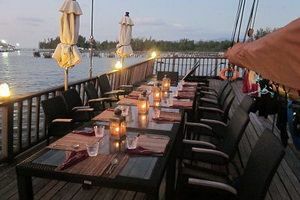 An old boat popular with backpackers in Khao Lak. Always well reviewed. Choice of short or long trips. A great choice for the cost conscious diver.